Mission as Transformation is a collection of essays by leading mission experts, which challenges the Christian community to view more seriously its participation in the processes of social transformation. 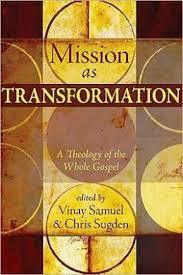 The book defines the term “transformation” as holistic or integral mission. The term also denotes change in one’s condition in order to receive fully the life God has intended. The Kingdom of God is viewed as a fundamental structure and system in the above process. The climax of Christ’s mission was the cross. His suffering was due to a preexisting conflict which was resolved though His sacrifice, a transformational statement that included justice and restoration. The Church is also called to engage in the struggle for justice and social equilibrium, which is not only its earthly mission, but part of its eschatological hope as well. The sign of social change is then, not so much, the coming city, but the cross outside the gates. The involvement of the individual believer and the church as a corporate body in suffering on behalf of the oppressed is not viewed by God as failure. On the contrary, it is a transformation that changes both the world and the church after the image of Christ. The Kingdom of God is God’s redemption for humankind. It is His redemptive participation in human history through which all people are challenged to repent and live life of participating in the Kingdom business, while the Kingdom remains an already-not-yet reality. This reality gives a new status to every believer, who is transformed after the image of Christ, in order to participate in His Kingdom. In this sense, the Kingdom is not a personal Kingdom or personal transformation alone, but it is community which God creates for all with the purpose of being inclusive toward all. The discussion on the Kingdom of God implies partnership with non-Christians which in holiness circles may be viewed as inappropriate. Kingdom values are to replace worldly values to indicate the influence of the Kingdom. Certain guidelines of cooperation then must be drawn in order that any partnership of such kind does not radically change the identity of the church negatively, but rather serves as a positive transformational factor for all participating Christians and non-Christians. The Christian identity is such a guideline itself. The impartation of Christ-like identity is a supernatural process which empowers the believer to participate in the greater purpose of God for the universe. Identity is provided by the Gospel and is the fundamental principle for Christian involvement in any processes of social transformation. The discussion is brought to the participation of Christians in politics as a part of Christian involvement in social transformation. 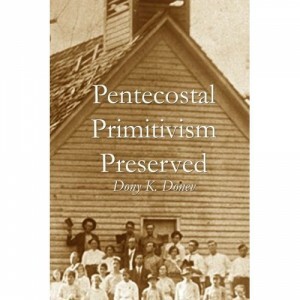 Among Pentecostals this subject has been a taboo topic since the very beginning of the movement. The text, however, argues that as the suffering of Christ was not passive, He set a model for a radical political action. The Kingdom of God was the central idea of Christ preaching through which He proclaimed the reign of God as a King. This was done in the context of the Roman empire combined with Jewish aristocracy expressed in a political and religious system of class oppression which Christ challenged through His teaching, life, death and resurrection thus proving their temporality and creating an anti-culture against the oppression of the poor and the week. Christian politics in this sense are prophetic, proclamation of the Kingdom and eschatology. Christian eschatology is perhaps the most important theological factor, which determines the attitude of the community of believers toward the subject of social transformation. Eschatology deals with the future and the end of the era, but also with the end of history and the fulfillment of its goal. Historically, protestant eschatology is amillennial, at least in the era from Augustine through the Reformers. Post-reformation eschatology receives a more postmillennial aspect which affirms Christian positivism for the future. Postmillenarianism presupposed and resulted in a more extensive participation of believers in the political scene. However, through the 19th and 20th centuries, premillenarianism became the major eschatological view among Protestants. As a result, a major reversal in theology of politics, from Calvinistic theology of politics which sees them as advancing the Kingdom of God, to a more pietistic theology of politics was observed. Saving souls became a priority before saving societies, thus promoting a pessimistic eschatological view. 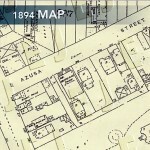 Such was taken by most missionaries of the 19th and 20th century whose ministries originated in the mission efforts of premillennial congregations and denominations. Apparently, pessimistic eschatology has hurt the major premillennial wing of protestant churches, among which are Pentecostals. They must seriously reconsider their abstinence from issues of political tension, social injustice, since the lack of participation in the last has formatted their role in the dynamics of social formation and reformation. On the other hand, their critics may review the claim of premillennial eschatology as pessimistic. This is due to the fact that while premillennial theology may refuse a view of a better world here and now, it most certainly expects such one with the future return of Christ. Therefore, while such theology may be pessimistic in its earthly sense, it is most certainly optimistic in its Heavenly, eschatological sense. In other words, for premillennial believers the optimism of the end-times lies in the parousia. The tension of the already-not-yet Kingdom proves such a view and explains the Kingdom tensions of the now and the future which premillennial eschatology often presents. Such a view is both Biblical and practical. It further well balances both Christian passivism (often confirmed through piety) and activism, which should result in social concern and action. In the beginning of the 21st century, the last has become a central topic of premillennial eschatology which has resulted in its more extensive, practical implementation. Pray for our Bulgarian chaplains who were recently deployed on their next mission in the Middle East. We are not at liberty to publicize their names or current location, but we can mention that they have been a part of our Masters of Chaplaincy Ministry Program now affiliated with the New Bulgarian University (NBU). In the past three years they have successfully undergone the chaplaincy training by Maj. General C. Buckingham, USA (ret), Chaplain Col. R. Young of the IAEC and Dr. J. Ellis of Union University as part of our masters program. We are continuing to pray that they come home safely after their mission and be able to participate in the commencement graduation ceremony with their cohort from this year’s class. Since 1995, Cup and Cross Ministries International has worked toward a vision of the establishment of a Bulgarian Chaplaincy Association – an organization that incorporates pastoral care to prisons, military, police and hospitals. Our outreaches have been able to provide pastoral care and social services to the needy in a time of severe economic crises and political tensions. Our presence has been an answer for people in need for both physical and spiritual support. In the beginning of the 21st century, we are witnesses of a miracle as this vision comes into reality. Today, police and military officers participate in services led by the same ministers and pastors who once, during communism, they were ordered to arrest for the preaching of the Gospel. In September of 1944 the Communist revolution took over Bulgaria. All prior Protestant activates were outlawed. Pastors and ministers were imprisoned. Some were brutally executed. Any attempt for ministry in public was equal to a death sentence. The church went underground for 45 years until the Fall of the Berlin Wall in 1989 and a Holy Ghost revival swept through the country. In the summer of 2000 the Bulgarian Church of God organized a chaplaincy seminar in the Military School in Veliko Turnovo. This was done with the partnership of NATO’s head chaplain along with the representative of the Orthodox Church in Bulgaria, the director of the school under the patronage of the vice-president of Bulgaria Mr. Kavaldjiev. More than 250 officers, spiritual leaders and civil representatives participated. The goal of the seminar was to awaken the interest of the community and appeal for changes in the Bulgarian constitution, which would guarantee the freedom of military personnel to access the chaplain’s services and care. In February of 2002 a chaplaincy seminar, organized along with the Church of God Chaplains Commission, was held in the National Palace of Culture in Sofia. More than 60 pastors, chaplains, students and church workers from different denominations attended. These were people actively involved in military, hospital and prison ministries. The seminar was a stepping-stone for the development of the chaplaincy ministry in Bulgaria. It served as a beginning point of the structural development of the department of chaplaincy and caregivers in the Bulgarian Church of God and facilitated to the establishment of the Bulgarian Chaplaincy Association of which Cup & Cross Ministries became a charter member. 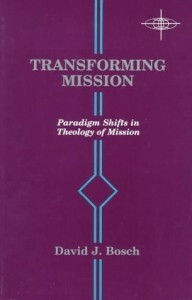 Transforming Mission is a book about missions. The text is not merely a theoretical proposal but rather a detailed historical and theological overview of Biblical missions which results in a new paradigm. In the light of the book, the title means both transforming the present mission model toward a new successful paradigm and the way mission becomes a transformational factor for the community of all believers. The book begins with a Biblical overview from a historical perspective, as the author examines the development of Biblical missions throughout the Old and New Testaments. A special attention is given to the Luke–Acts writings and the Pauline epistles. In the review of the Pauline mission strategy, Bosch points Paul’s interest to large cities of main importance. Although, the apostle does work in rural areas his main priority remains large cities with sufficient gathering areas where the Gospel can be quickly and more efficiently spread. Such model is supported by a realized eschatology and clear understanding of the quick and eminent return of the Lord. Paul redefines his mission strategy on the basis of this context to purposefully invest more time and effort in metropolises and crowds where the results of his ministry will be more efficient. The author notes the success of the early church missions, as he points out that regardless of the Jewish rejection of Jesus, thousands of Jews throughout Israel were saved in a short period as a result of the mission of the Early Church. This success is evident from the Scriptures, for the period of time even before the mission was extended to the Gentiles. As the spread of the gospel continued, Bosch writes the mission of the early church extended to the borders of the known Biblical world. The text examines the relationship between personal crisis and mission effectiveness of the Early Church. Repentance, forgiveness of sins and salvation were represented as personal crisis in the message of the early church, which was focused on the immediate conversion of the human soul. Such focus on the individual experience of the believer remains a focal point for the Biblical paradigm of missions. Unfortunately, this focus was lost as the church took a more non-crisis model of personal transformation in the centuries to follow. This brings the research to its second major part, which is an overview of the church history beyond the third century. The book continues with a historical overview of church history in six epochs. The focus remains on the theology of missions and its transformation, since the beginning of this part of the research deals with the Eastern Church and culture after the Edict of Constantine. Bosch claims that the church was not a bearer of culture until put in a context of Empirial religious organization which actually was a merger between state and church. Elements of primitive eschatology virtually disappeared from the church. Moving toward the apologetics period of church history, the author properly notes the change within the eschatological view of the church form eminent-apocalyptic return of Christ to a kingdom-on-earth mentality. The foundation of this trend is in the exchange of a crisis-repentance experience with the gradual spiritual elevation of the human soul (pneumatikoi). 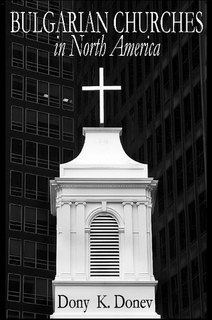 This idea stayed strong within the church through the next centuries of history and produced definite religious movements toward indulgencies as early as the Martyrdom of Polycarp where we read about “purchasing at the cost of one hour release from eternal punishment.” It is understandable that in such context missions receive a much different outlook. The medieval ages confirmed the indulgency practices with such vigor that they became a prime mission focus. Their influence was so strong that even after the Protestant Reformation had long-dealt with indulgent practices, mission was hard to fit in the paradigm of the church. Bosch confirms that it was not until the Wake of the Enlightenment that missions received the attention which they deserved in a church context. However, his overview of that era is quickly passed through modernity and is contradicted with the entering of postmodernity and its effect on modern-day culture. 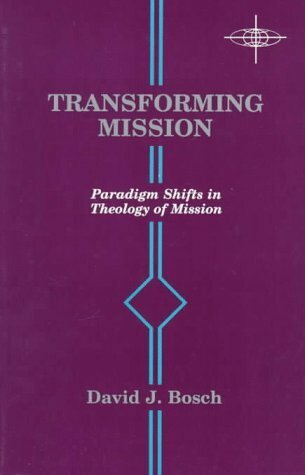 This is followed by an in-depth study of the elements of mission and their present-day application in various mission paradigms and concludes with a rather ecumenical model of missions. 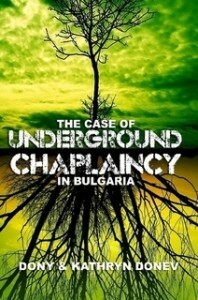 In the general Bulgarian context, there are claims today that the Bulgarian Pentecostals have pessimistic eschatology which doesn’t allow them to envision their ministry as a transformation of society. Such accusations come from small “reformed” groups who regardless of a limited presence during the years of the Communist Regime and virtually no mission attempts toward Bulgaria today claim to be the historical heritage of the Bulgarian Protestantism. Their main concern is that Pentecostalism, as the largest wing of the Bulgarian Protestantism, has pessimistic eschatology and no social or cultural attempt to transform Bulgaria because of the lack of a plan for economical transformation and participation politics. This, however, is hardly the case, since the Bulgarian Pentecostal movement has gained a significant level of influence within the Bulgarian community in the past 15 years. Although representing roughly 1% of the Bulgarian population with a little over 100,000 member’s the Pentecostal movement has been present in the political life of the country with National Assemblies representatives and a political party (Bulgarian Christian Coalition) established in 1997. The government connection has continued with the numerous times Pentecostal churches and leaders have used their connection outside Bulgaria to assist with social challenges with social groups like disabled, orphans and retired. The social work of the Pentecostal moment has become well known throughout the Bulgarian towns and villages, as Pentecostal social centers are often the last and only resort for those social groups. The Pentecostal efforts toward social centers have inevitably assisted the Bulgarian economy in the area of social work which are now untouchable due to the severe economical crises which followed the fall of Communism. Other minority groups have also been touched by Pentecostal ministry as the largest Gipsy Christian churches in Europe are only in Bulgaria. Women in ministry have been a constant phenomenon within Bulgarian Pentecostalism ever since its beginnings in the 1920s. 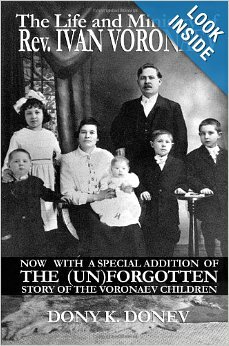 The Bulgarian Pentecostals have always stood against racial and ethnical discrimination against Gypsies, Jews, Pomaks, and immigrants. Christian television, radio and other media in major cities are all initiated by Pentecostals who are responsible for the survival, rediscovery and reclaiming of the true Bulgarian Protestant identity. The 1990 Pentecostal revival in Bulgaria went well beyond the boundaries of social transformation and is playing a major role in the democratization of Bulgaria. Called & Empowered is a collection of essays that addresses a number of critical post-modern issues. The main purpose of the book is to introduce and answer problematic questions related to church and culture. A great addition is the compilation of in-depth cultural studies and recent theological developments viewed in Christian context. What made the book interesting for me personally was the presence of a number of well-balanced critical perspectives which were presented from different viewpoints. Because they were combined with different cultural factors, they were helpful in understanding the Global Mission of Pentecostalism. The supportive evidence focused on the Kingdom, culture, social formation and unity. 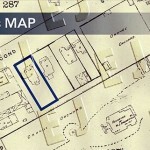 During the latter part of the twentieth century, the doctrine of the Kingdom of God was of great concern for many theologians and missiologists. In my short educational experience, I have been introduced to a number of works on the subject, some of which were quite controversial. However, it has been interesting to read about the Kingdom strategy of Jesus, along with the development of the Kingdom theology in the context of third world praxis. It seems that in both cases, it is reasonable to accept the fact that since the Kingdom of God was a prime concern in the ministry of Jesus, as well as in the ministry of John the Baptist and the apostles, it should carry the same importance in our Christian life and activities. Unfortunately, this may not be the observed reality in Christianity today. However, traditionally and historically, Pentecostal Christians have always focused on the Kingdom of God. A very particular example in this case is the already-not-yet proposal, which is directly associated with Kingdom theology. This particular division in Called and Empowered has a very important discussion on the urbanization of the Pentecostal mission. 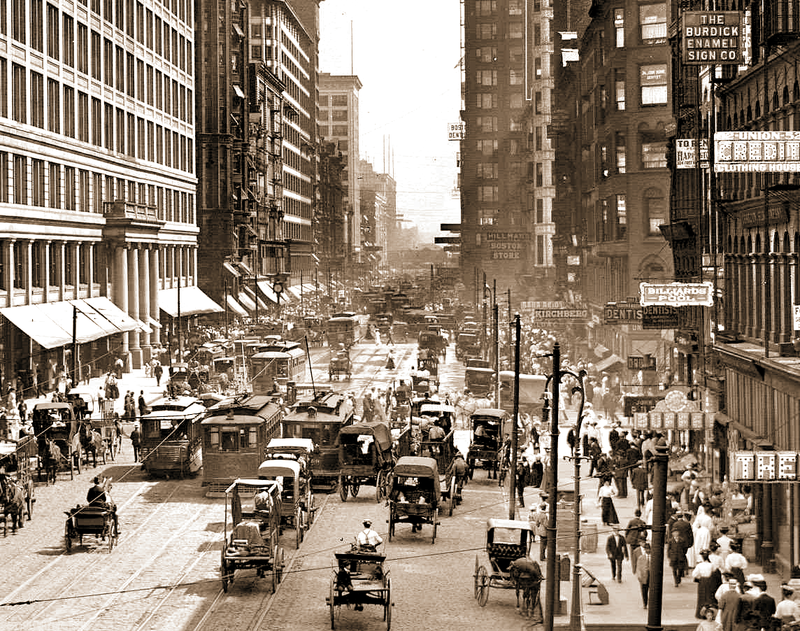 Historically, Pentecostal revivals do not begin in huge urban centers and do not focus or attract them. It seems that such revivals occur mainly among people who are neither highly educated, nor economically prosperous. Also they do not occupy a high rank in the social hierarchy. It is only after they have had a period of successful existence as aggressively growing religious organizations that the Pentecostal Churches and ministries start aiming at the great cultural, economical and political urban centers. Such progressive development is evident in the Bible. Undeniably, the first move of the Holy Spirit in Acts 2 was among uneducated people such as fishermen and tax collectors. Similar concern was expressed by Gentiles present in Jerusalem on the day of Pentecost. 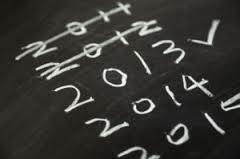 Nevertheless, shortly thereafter the Gospel was preached before kings, politicians, governors and military leaders. Therefore, what Pentecostalism rediscovers today is not a new blending of culture and Gospel, but rather a reclamation of the continuity of historical inheritance. A very good point was made by Dr. Kuzmic in his exposition on Marxism in relation to the existence of Pentecostalism. It is always quite disturbing when a parallel between Marx’s socialism and Christianity is being made. In Eastern Europe however, this idea is not as neoteric as proposed by some Western writers. In the early twentieth century Nikolay Berdyaev, one of the most prominent socialist writers, introduced what is considered probably the first comparison between Christianity and Marxism. The similarities are many: common wealth, economical and social balance, peace, brotherhood, ect. Also, communism in many ways imitates Christianity. Good examples are the establishment of the social and economical infrastructure of cultural communes, work unions and agricultural cooperatives which have common assets. A similar example is the almost “religious” dedication required by the Communist Party. What is missed, however, is the simple fact that Marxism, different from Christianity, lacks God. As Dr. Kuzmic points out, Marx hated all gods, including Christ. Therefore, there is no room for comparison. If Communism is Christianity without Christ, it then stands far away from the whole idea of the existence of Christianity. This was shown through the enormous failure of communism in Eastern Europe. Since Dr. Kuzmic has personally experienced all of the above, his exposition on Marxism in relation to Pentecostalism assesses the true danger of such a parallel. The last evidence is drawn from the discussion on Ecumenical Mission offered in Called & Empowered and my long-term relationship with the World Council of Churches. The World Council of Churches is one of the numerous organizations which promote worldwide Christian unity through reconciliation, theological dialogue, sharing of resources and the vision of a community life rooted in a particular cultural context. The vision of the World Council of Churches is based on the common Christian mission of introducing Christ and Christianity to the world. I am persuaded that the future of World Missions is for Christians uniting with a common purpose for our Christian mission. Undoubtedly, such process will take time and mutual efforts. I am reminded of this as I observe my home country, Bulgaria where Protestant Christians are divided against one another and unity is lacking. Unified missions will not only bring oneness and harmony back into the church, but it will formulate the ecclesiastical community after the image of the Early Church from the Book of Acts. The results from such a unified mission will not only be world changing, but self-changing as well. 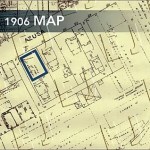 The following part of this overview will include a mission application response to the evidences listed above. As it focuses on the Eastern European context, it will further suggest mission applications in the present Protestant reality in the region, and more specifically among the Bulgarian Pentecostals. The above four evidence accents were chosen among others because they all pertain to today’s Bulgarian Protestant reality. The kingdom of God as both present reality and eschatological hope takes a bit different perspective in a society where forty five years of Communist regime has left a deep scar on people’s mentality. Healing for the emotional and social wounds has not been provided by rapidly changing governments and political models, crime has increased, severe economical crises have occupied and there remains a constant fear and lack of hope for the future. In such context, the Kingdom of God is much more than a present reality or a future hope. It is all that the Protestant church in Bulgaria really has. Gospel and culture are an essential part of Bulgarian missions work. On the Balkan Peninsula where Bulgaria is located, there are more than 150 languages and dialects spoken. Adding the crossroads of three world religions, three continents and constant migration of people that has been going on for thousands of years, makes this Europe’s melting pot of cultures and ethnoses. Discovering a paradigm which will serve as a buffer between the ever-changing Balkan culture and the eternal Gospel will be the ever-present factor that determines the success of Protestantism on the Balkans. In Eastern European cultural and social context, the mentioning of Communism indeed has a different meaning. The Pentecostal church in Bulgaria historically and ideologically has opposed Communism in every form, and thus Pentecostal Christianity in Bulgaria must differentiate from Communism in order to remain in its historical distinctives. In order to be successful in its mission and message, and at the same time remain within its original identity, the Bulgarian Protestant movement must continue to oppose Communism in all of its forms. The final evidence of ecumenism must be understood in Eastern European settings not only as an ecumenical cooperation of different religious formations, but as a union between all existing Protestant groups. As costly as such idea may seem, it will strengthen Eastern European Protestantism. Historically, in Bulgaria an organization called Bulgarian Evangelical Alliance (United Evangelical Churches) has served such purpose by preserving the identity of the denominations members. Such unity of cooperation must continue in even more strategic and planned ways in order to provide Bulgarians with the proper social context for national Protestant reformation and revival.